The American Porphyria Foundation office located in Houston, TX remains closed due to the extreme flooding from Hurricane Harvey. All office staff are safe. Please continue to contact us with any needs as we will be checking voicemail and email on a regular basis. We will inform you when the office has re-opened. For those with questions that need to be answered with urgency please contact Desiree Lyon, Executive Director at 713.857.0995. Thank you. WOODWAY DRIVE - Directly across the street from where the APF office is located. Alnylam porphyria drug reduces annualized relapse rate by 73% in phase 1 study. RNA interference (RNAi) specialist Alnylam has hit the accelerator on its candidate drug for ultrarare porphyria diseases, prepping for phase 3 trials later this year after unveiling initial results in 12 patients. Alnylam's givosiran achieved a dramatic reduction in annual attack rates in the phase 1 trial reported at the International Congress on Porphyrins and Porphyrias in Bordeaux, France, and could become the first drug to be approved for preventing attacks, according to the biotech. It's a needed boon for Alnylam, which was hit hard last year after it was forced to drop its hereditary ATTR amyloidosis drug revusiran. More patient deaths were seen on that drug versus placebo in the late-stage ENDEAVOUR trial, forcing a switch to new lead drug patisiran. Porphyrias are a group of disorders that result from a build-up of substances—called porphyrins—that can damage organs and the nervous system. As the name suggests, acute hepatic porphyrias damage the liver, and are among the most common forms of the disease, but are still very uncommon. 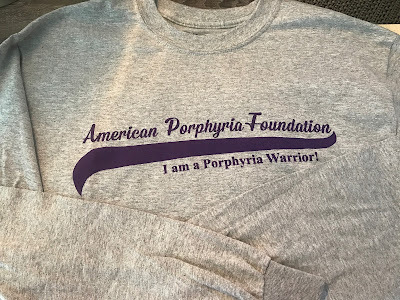 Taken together, all forms of porphyria afflict fewer than 200,000 people in the U.S., according to the American Porphyria Foundation (APP). The most common symptom is intense abdominal pain, but some people also suffer muscular weakness, sensory disturbances or convulsions, and as a group the diseases are "devastating for patients" with attacks lasting for days and often requiring admission to hospital, according to Akshay Vaishnaw M.D., Ph.D., Alnylam's head of R&D, who discussed the data on a conference call this morning. 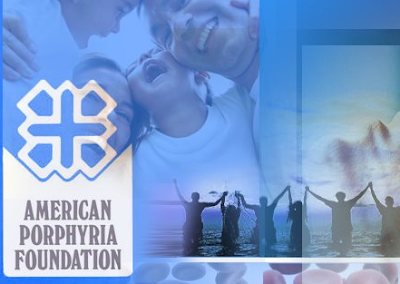 At the moment, the only drug approved for use in porphyria is hemin, which is labeled as a treatment for attacks but is given off-label to some patients for prevention. Intravenous glucose therapy is also used, but both treatments have limited activity in preventing or hastening recovery from attacks, according to the APP. Enter givosiran, a gene-silencing drug designed to switch off the aminolevulinic acid synthase 1 (ALAS1) gene. The drug reduces levels of two porphyrin precursors (ALA and PBG), which researchers hope will prevent attacks. The RNAi switched off ALAS1 in the trial and achieved a 73% reduction (PDF) in annualized attack rate compared to placebo in the 12-patient phase 1 trial, with a 73% reduction in annualized hemin doses. Clinicians have suggested a 30% reduction in attacks would be clinically meaningful, according to Barry Greene, president of Alnylam. Importantly, the reduction in attacks appeared to be dose-dependent and matched reductions in ALA/PBG levels, suggesting these could be used as biomarkers for the drug's activity in future studies, said Vaishnaw. There was one death among patients in the treatment group (due to hemorrhagic pancreatitis) as well as three other serious adverse events that the investigators concluded were not linked to the study drug. Data from an eight-patient open-label extension study found a further reduction in attacks and suggested control could be better with longer-term dosing, said Vaishnaw, although he stressed the results are still preliminary with such a small patient cohort. That said, there is no evidence for this with hemin, but some data suggest that control gets worse in hemin-treated patients over time, he added. Either way, "there is no question these annualized attack rate reductions have a big impact on the lives of patients," said Vaishnaw on the conference call. "We are very encouraged by the data … and the potential for the givosiran program," said Greene, noting that the drug could offer a once-monthly, low-volume subcutaneous injection therapy for patients with porphyrias. The phase 3 program will get underway in the fourth quarter and focus on attack rates—the most devastating element of the disease—said Alnylam. It will, however, also include a pharmacoeconomic analysis to take into account direct healthcare costs as well as indirect factors such as loss of work days, etc. Alnylam—which said it plans to self-develop and commercialize the drug—has already secured breakthrough registration for the drug in the U.S. and PRIME (priority medicine) status in the E.U., so if the phase 3 program goes well, givosiran is in line for speedy review by regulators. 1871 - Felix Hoppe-Seyler crystallized hematin and described its spectrum. He then demonstrated that the crystalline form differed from one animal species to another. Using his own newly constructed gas pump, he found that oxygen formed a loose, dissociable compound with hemoglobin, which he called "oxyhemoglobin." He renamed the iron free hematin ‘hematoPorphyrin’. 1874 - Dr. J.H. Schultz described a case of a 33-year-old male weaver who suffered from skin sensitivity, an enlarged spleen and reddish urine since he was an infant. He called the condition pempigus leprosus. His was most likely the first description of protoporphyria. Dr. Schultz was later credited with giving the disease its name. 1880 - MacMunn described a patient’s dark reddish urine of a patient with symptoms of an attack of acute Porphyria. 1888 - Shortly after, sulphonal was introduced as a hypnotic drug, Joseph Stokvis had a patient who, after taking the drug, excreated the tell-tale dark reddish urine typical of porphyria. The elderly woman then became paralyzed and died. Stokvis deducted that the pigment in her urine was the hematoporphyrin. 1913 - Dr. Friedrich Meyer Betz injected himself with hematoporphyrins to determine their photodynamic impact. He subjected himself to the sun and became so photosensitized that the extremely painful photosensitive effect lasted several months. The photos of Dr. Betz taken hours after he injected himself illustrated his badly swollen face. He was unrecognizable until the swelling decreased. The-experiment is used today in dermatology text books. View these photos on the APF website. 1949 -Dr. Cecil J. Watson identified cases in which there were excessive amounts of coproporphyrins in the stool and urine and suggested that this was caused by an inborn error of metabolism. He continued his research in the United States, where he and Dr. Samuel Schwartz discovered a fundamental test, the "Watson-Schwartz tests". 2008-2011- The APF Protect the Future program to train the next generation of experts was initiated. We are grateful for the newest experts; Drs. Manisha Balwani, Lawrence Lui, Gagen Sood, Manish Thapar, Bradley Freilich, Charles Lourenco, Brenden McGuire, Bruce Wang, Majid Rizk, Guiherme Perini, Jennifer Guy, Jeffery Wickliffe, Aswani Singal, Sajid Mittal,Charles Parker. EPP Have you ever wondered why you have been sunburnt on a cloudy day? The sun’s elevation in the sky depends on the time of the day and year. The shorter the distance that photons (making up the total of UV radiation) need to travel though the earth's atmosphere, the greater the intensity of UV radiation. The altitude of a location also effects UV radiation levels as the higher a location is above sea level, the shorter the distance UV radiation travels. In December 2014, the European Commission approved SCENESSE® to prevent phototoxicity in adult patients diagnosed with EPP, following a recommendation from the European Medicines Agency's Committee for Medicinal Products for Human Use (CHMP). You can read the announcement here. EPP is a rare life-long genetic disease found mainly in fair-skinned people. It is characterised by severe phototoxicity (intolerance of light) of the skin resulting in intolerable pain, swelling and scarring, usually of exposed areas such as the face, hands and feet. Reactions can vary from mild to extreme with hospitalisation and powerful pain killers required in the worst cases. Since sun avoidance is recommended, patients lead lives where they are in the sun for very limited time. This can prevent normal social activities and the intense pain that is experience interferes with normal daily activities and can prevent adequate sleep. Keep up to date with our clinical trials, EPP blogs and videos. In January 2009 CLINUVEL announced interim results from its lead Phase III study of SCENESSE® (afamelanotide 16mg) in patients diagnosed with EPP (CUV017). The data from the first 14 Swiss patients to complete the 12 month study period were analysed, showing SCENESSE® was of clinical benefit in EPP. For more information, see the company's announcement. In December 2009 CLINUVEL announced preliminary results from its lead Phase III study of SCENESSE® in 100 patients diagnosed with EPP (CUV017). For more information, see the company's announcement. CLINUVEL released full results from the CUV017 study in July 2010. For more information, see the company's announcement. In May 2010, the Italian Medicines Agency allowed for the prescription and reimbursement of SCENESSE® (afamelanotide 16mg) under Law 648/96 for Italian patients diagnosed with EPP. For more information, see this page. · Harms JH, et al. ‘Mitigating photosensitivity of erythropoietic protoporphyria patients by an agonistic analog of alpha-melanocyte stimulating hormone.’ Photochem Photobiol. 2009 Nov-Dec;85(6):1434-9. · Murphy GM. ‘Diagnosis and Management of the Erythropoietic Porphyrias’, Dermatologic Therapy 2003;16:57-64. · Thunell S, Harper P, Brun A. ‘Porphyrins, Porphyrin Metabolism and Porphyrias. IV. Pathophysiology of Erythropoietic Protoporphyria - Diagnosis, Care and Monitoring of the Patient’. Scand J Clin Lab Invest 2000;60:581-604. · Todd DJ. ‘Clinical Implications of the Molecular Biology of Erythropoietic Protoporphyria’, J Eur Acad Dermatol Venerol 1998;11:207-13. Welcome Holly Hamilton as our new Moderator the the Closed Facebook CEP group. Holly and her husband Justin are wonderful parents and folks. Justin & Holly are the proud parents of 2 adorable children. They also support the American Porphyria Foundation and spreading awareness. Thank you for supporting the APF! IMPORTANT!!! A new research study is starting for PCT. 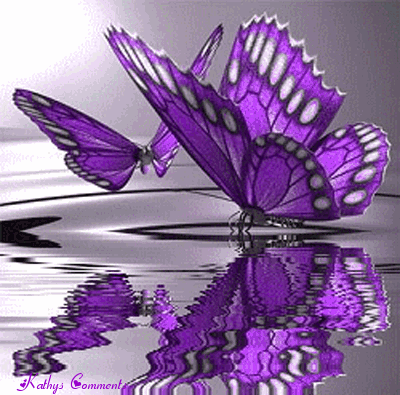 The Harvoni Treatment for Porphyria Cutanea Tarda study is Beginning to recruit patients now. Please contact the APF office on 1-866-APF-3635 to find out how to participate. Remember~ "Research is your key to a cure"